Windy with thunderstorms. High around 65F. WNW winds at 5 to 10 mph, increasing to 20 to 30 mph. Chance of rain 50%. Higher wind gusts possible.. Some clouds. Low 43F. Winds NW at 15 to 25 mph. WEEPING WATER – Yutan boarded a winning flight against Weeping Water Thursday with a jet engine full of offense in the first quarter. The Chieftains scored 36 points in the opening eight minutes and went on to win 74-39. Yutan produced points on 16 of its 19 trips in the first quarter and sank 14 baskets. The team went ahead 18-0 and maintained a double-digit gap the rest of the night. Yutan (13-4) used its height and athleticism to repeat its lofty scoring pattern from previous games. The Chieftains had registered 60 or more points eight times before Thursday’s matchup. The team scored 75 points against Palmyra earlier in the week and posted 80 points against Tekamah-Herman in December. The starting quintet of Trey Knudsen, Brady Timm, Clayton Nelson, Colby Tichota and Jason Simon produced most of the scoring damage. The five Chieftains combined for 63 points. Avery Heath paced Weeping Water with 18 points, five rebounds and one steal. 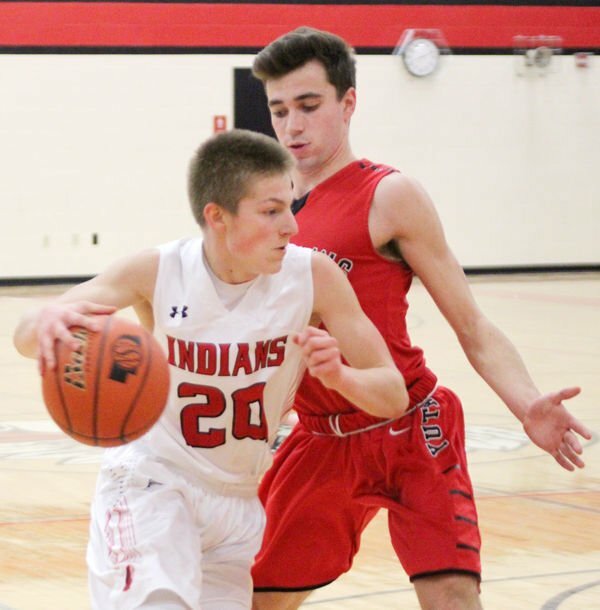 Levi Neumeister collected eight points, one rebound and one steal, and Hunter Mortimer ended the evening with two points, one rebound and one steal. Carter Mogensen posted four points and three rebounds, Ryan Smith hauled in five rebounds and Zack Smith made one block. 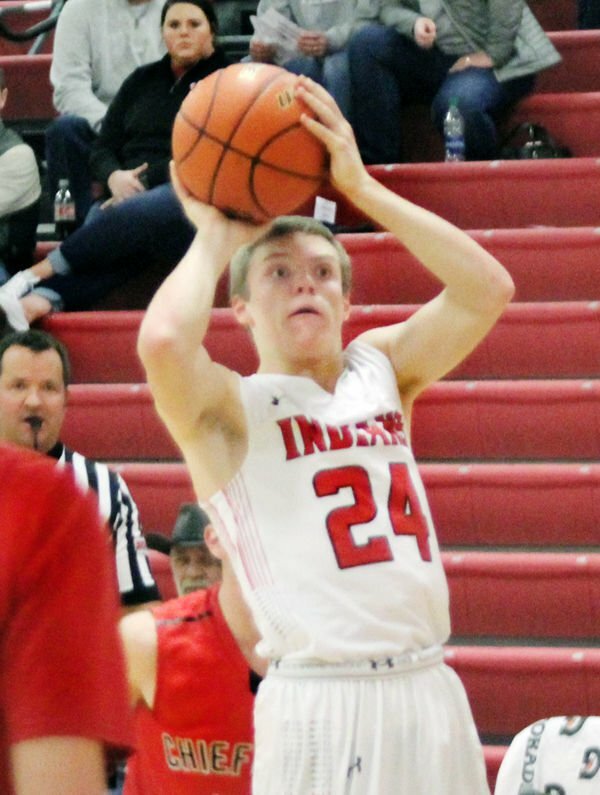 Lucas Patton produced four points, Jordan Beardsley scored three points and Noah Patton had one rebound. Noah Hammons chipped in one rebound and one steal. Knudsen 20, Timm 12, Nelson 4, Tichota 16, Simon 11, Hays 8, Pleskac 0, Petersen 0, Egr 2, Kube 1. Z. Smith 0-0 0-0 0, Mortimer 1-4 0-0 2, Heath 6-15 4-4 18, Beardsley 1-5 0-0 3, R. Smith 0-3 0-0 0, N. Patton 0-1 0-0 0, L. Patton 1-3 1-2 4, Mogensen 2-2 0-0 4, Neumeister 3-5 0-0 8, Hammons 0-0 0-0 0. Totals 14-38 5-6 39.